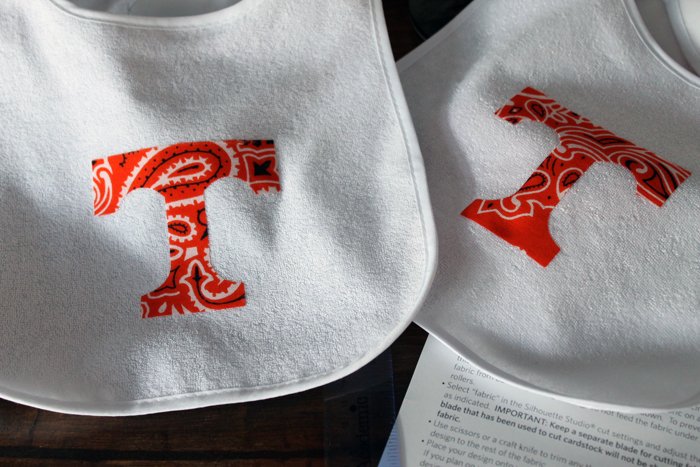 This easy bib applique tutorial will have you making your own baby bibs in minutes. A quick and easy project that is perfect for those baby shower gifts. 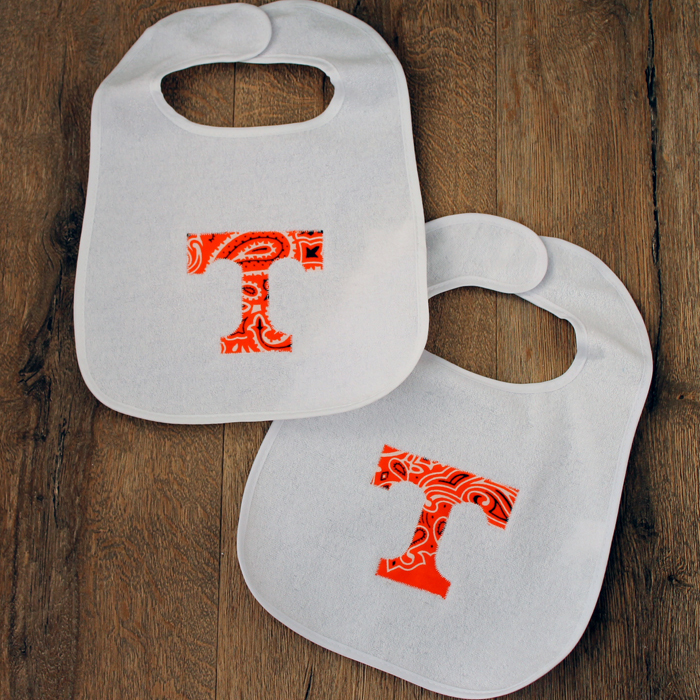 You can make the bibs football themed like we did here and let the little one cheer on their favorite team. The tutorial works with any shape however so let your imagination run wild with all of the baby bibs you can create. This one was originally posted over at Crafts Unleashed where I am a paid design team contributor. Find the team logo or shape of your choice online and use the Silhouette software to trace it. 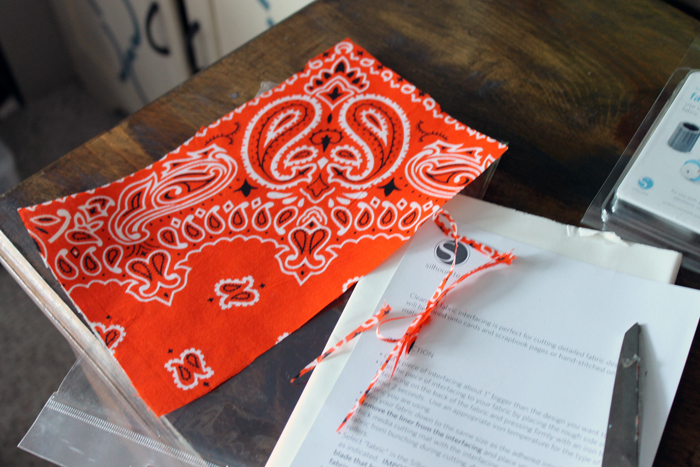 Cut the logo from your bandana. If the logo is simple enough, you can also hand cut. 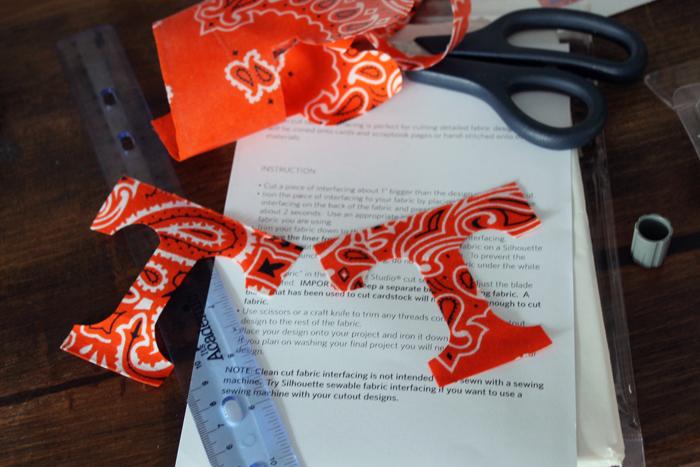 Trim any remaining threads with scissors when removing. Place the logos onto your surface. 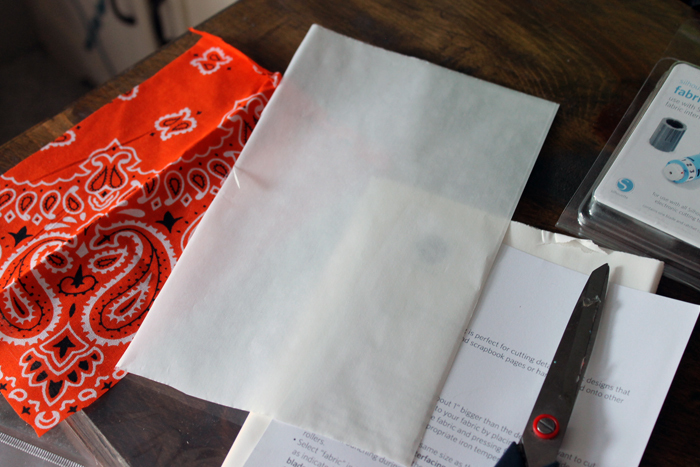 In this case I used a package of plain bibs but you can choose to use a shirt or even pants! Just use your iron to adhere the logo to the bib. Use your sewing machine and a zig zag stitch to go all the way around your applique. This makes the bibs washing machine safe and ready for anything baby can throw at them. 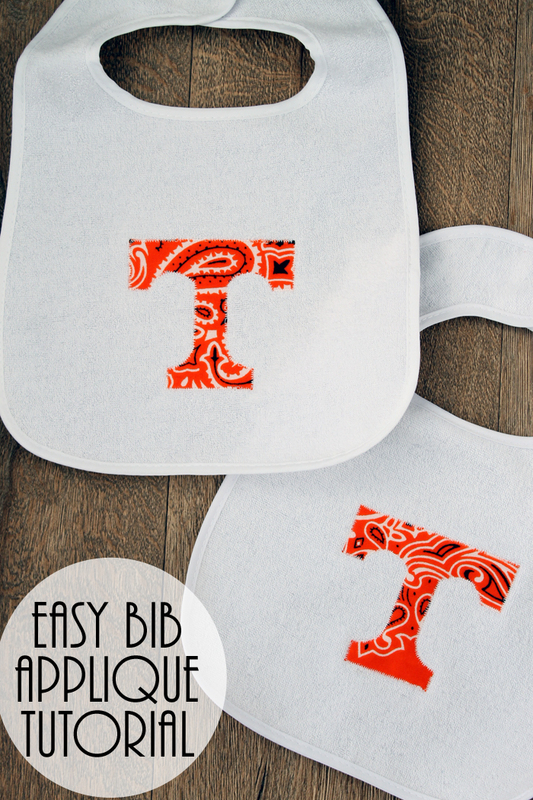 Add this easy bib applique tutorial to your must try list now. 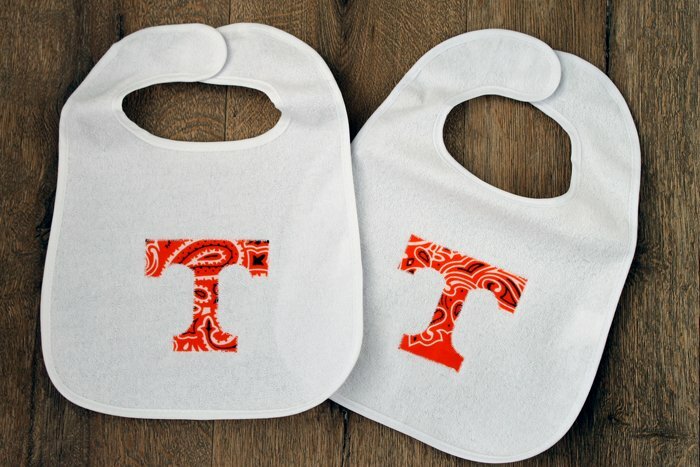 Make a whole stack of bibs and have them ready for baby shower gifts or get a head start on your Christmas crafting. Either way this tutorial makes it easy enough to whip up a bunch of these in no time at all. Love this and want more gift ideas for babies? Check out these links below! next post: Unique Clocks – The Perfect Holiday Gift! Your tutorial was just missing one instruction, be sure to wash fabric before using as there is some kind of surface put on fabric to keep it nice. 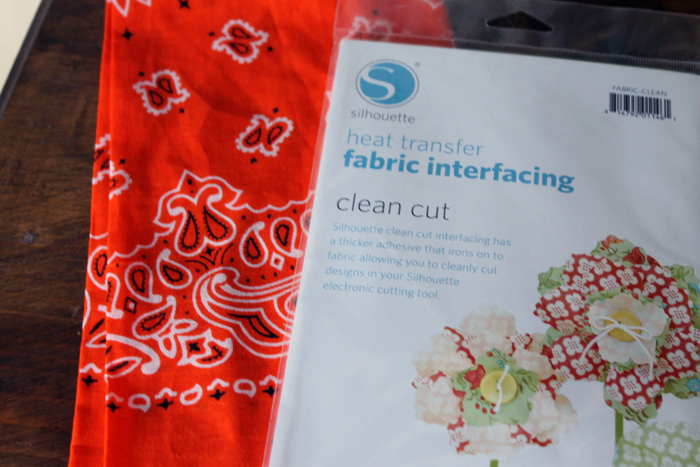 Remember to iron well to get all wrinkles out before applying interfacing. Bibs look so cute, lucky little one who gets to wear them. Wish I had somebody to make them for. Happy Fall week Angie. Yep! You are right! Wash all fabrics!! Thanks so much for linking to my bibs! I love your bibs! Pinning them to my sewing pinboard!